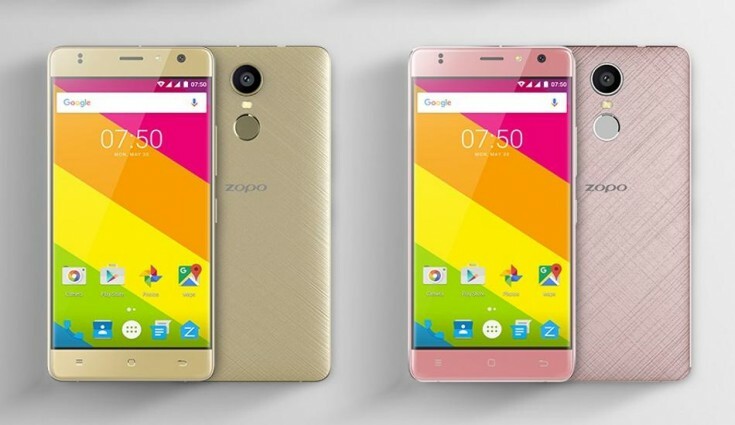 Zopo has unveiled a new smartphone under its Color series, which is named as Zopo Color F3. The Zopo Color F3 is a good looking smartphone that performs well due to its configuration. It comes with a fingerprint sensor to enhance your security. With the help of Parallel Space App which is already integrated in the device, users can simultaneously run two similar apps with different accounts. The Zopo Color F3 supports a Multi-Account Application feature, which enables users to clone their favourite apps to create a parallel account, enabling them to separate their personal and professional life. It means users can have 2 WhatsApp accounts, or 2 Skype or Facebook accounts or any other apps on the same device. It also comes preloaded with Barcode and QR code scanner app. It sports a floating video integration feature (PiP video, to keep your videos playing while using other apps) as well. The Zopo Color F3 comes with a 5-inch IPS LCD display (294ppi) and has HD display (720 x 1,280 pixels). It has a fingerprint sensor for security purposes. For driving the system, there is a 1.3GHz quad-core processor aided by 1GB of RAM. The smartphone weighs 157 grams and boots on Android v6.0 (Marshmallow) operating system. The Zopo Color F3 offers a wider range of connectivity options such as 3G, 2G, and Wi-Fi 802.11, b/g/n, Mobile Hotspot, Bluetooth, GPS and microUSB 2.0. Acting as a stamina provider, is a 2,100mAh li-ion battery which lasts for a good amount of time. In terms of storage, the device has an internal memory of 16GB, which can be further expanded upto more than 32GB (using microSD card). For photography lovers, the device sports an 8MP main camera with an aperture of 2.8F along with an LED flash. It also has a 5MP front snapper inclusive of LED flash. Zopo Color F3 is a good looking smartphone that you will surely be wanting in your pockets. Zopo Color F3 comes with a fingerprint sensor to enhance your security. The front flash results in great selfies and is perfect for night conditions. Zopo Color F3 is a perfect deal for you as it comes in affordable range.